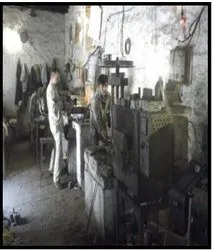 We, Regal Carbide Dies pvt ltd, marked our existence in 1987, as the manufacturers and suppliers of a comprehensive variety of industrial dies. We are regarded for maintenance of quality standards. We are a team of expert professionals that strive hard to create a lasting impression on our clients. Our highly regarded products find application in a horde of industries. Through our focus on superior quality ,we have managed to forge a credible reputation in the market. 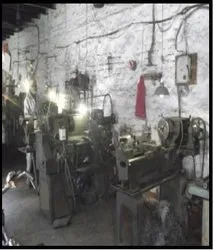 Our comprehensive product portfolio includes tungsten carbide wire drawing dies, PCD wire drawing dies , tube drawing dies, bar drawing dies, T. C. section dies, wire dies, R8 collets, carbide bushes, sector shape compacting, extrusion dies and diamond dies. We follow a standardized approach towards production. We handpick our raw materials cautiously only from those vendors who are experienced and enjoy a bankable reputation. We have effective quality control measures in place for every step of production. All our products have to be satisfactory on certain parameters so that they can qualify for sales. This unyielding dedication to quality has led us to become one of the most sought after manufacturers in the industry. Under the valuable guidance of our mentor, 'Mr. Ankur Agarwal', we have achieved new milestones of success in this domain. His constant motivation, vast industry experience and brilliant managerial skills have enabled us to gain an edge over our competitors. Our technologically advanced infrastructural facility enables us to manufacture and supply optimum quality range of products. This unit is well equipped with all the latest machines and designing equipment requisite for the fabrication of our products. Spread over wide area, this unit comprises various functional sub-units and empowers us to produce the bulk quantity of these products in a smooth and systematic manner. These units are manned with an adept team of professionals, who are familiar with the functionality and operations of all the installed machinery. We have recruited a team of highly skilled professionals who are very passionate towards their work and direct their endeavors to meet the prescribed goals of our organization. These professionals are hired through rigorous recruitment procedures and hold immense experience & understanding of the industry. Their untiring efforts and skills empower us to provide utmost quality products to clients in a very prompt manner. They work in close-coordination with each other, which help us smoothly and timely carry out all our business activities.